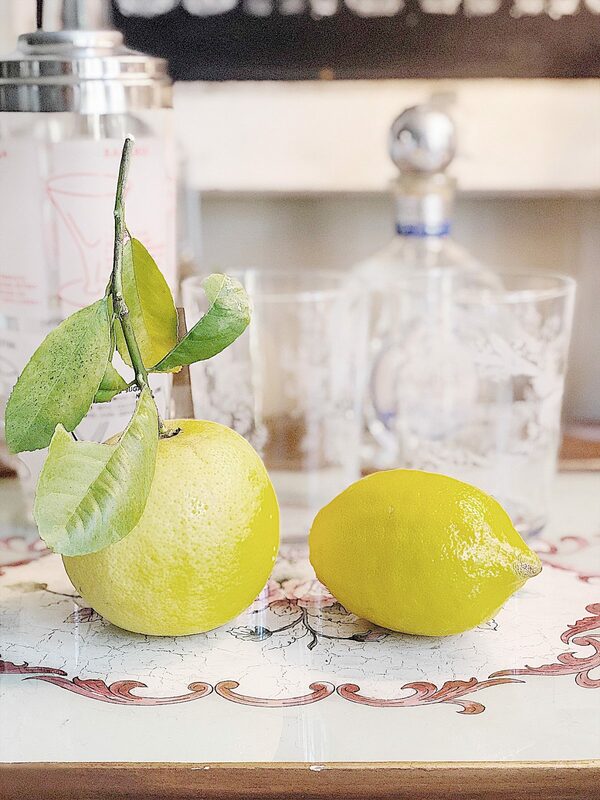 Our three Meyer lemon trees are bursting with lemons so I think it is time to get busy. Lemon drinks, here we come. 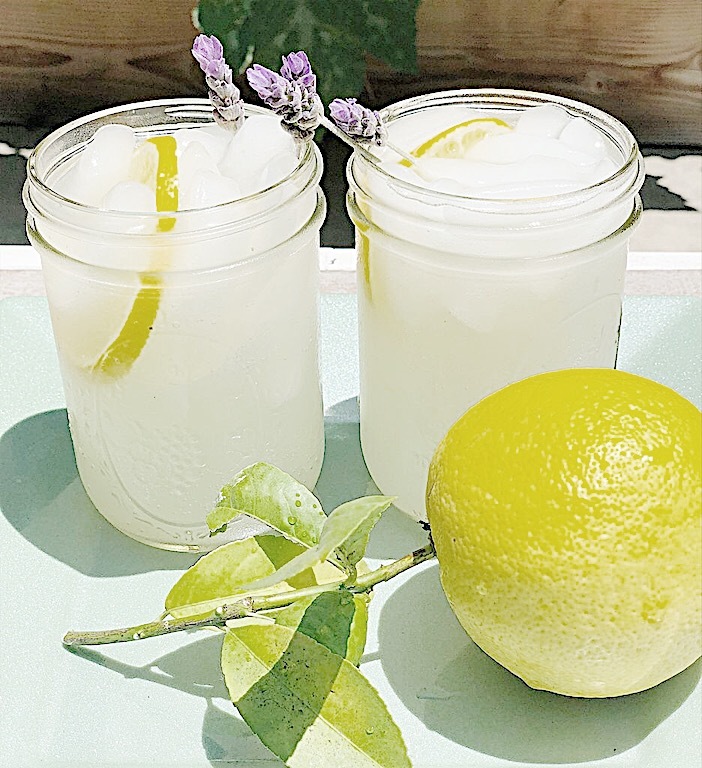 I have recipes for Meyer Lemon Simple Syrup, Meyer Lemon Mojito, fresh Meyer lemonade and a Meyer Lemon Margarita. 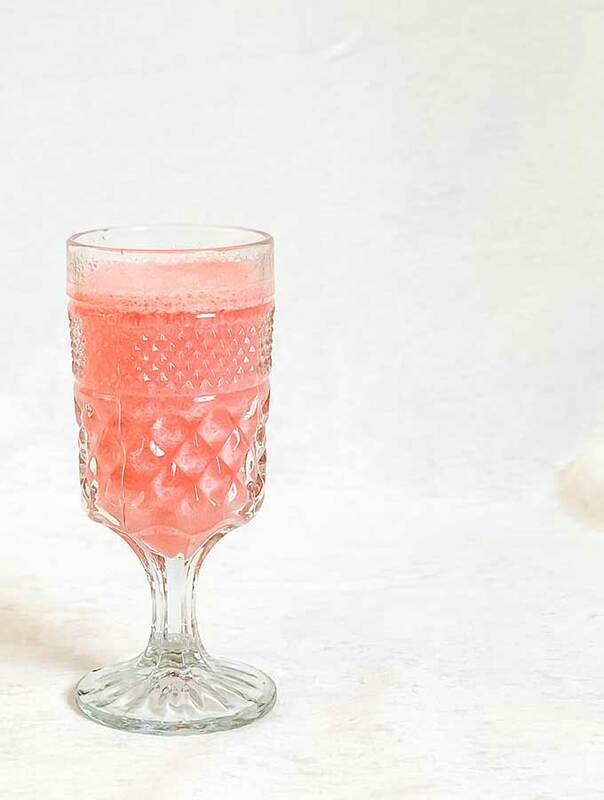 Today I am also sharing some wonderful favorite drink recipes from my blogger girlfriends too! 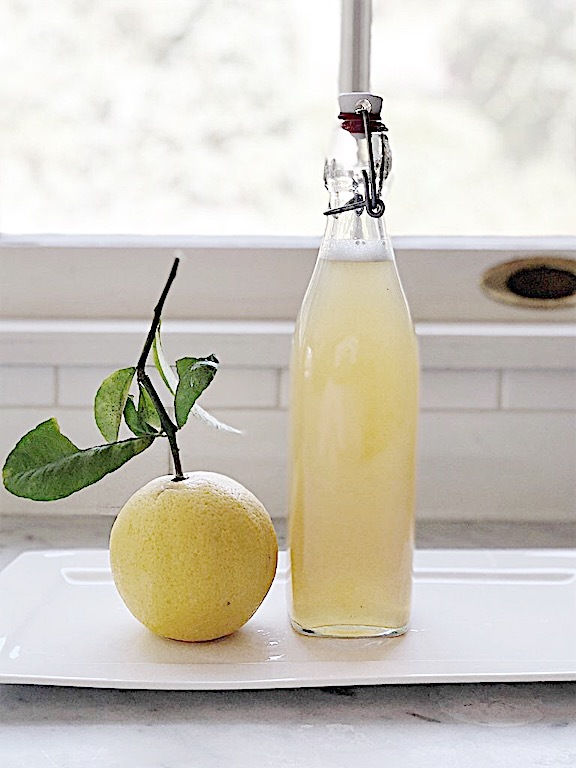 I have shared lots of lemon recipes using a wonderful Simple Syrup. Simple syrup is so easy to make. Just use equal parts of sugar and lemon juice and cook on the stove top, bring to a boil and then simmer for two minutes! Once you have your simple syrup you have a great starter for lots of lemon drinks and so much more. Just add it to soda water and it is fabulous! 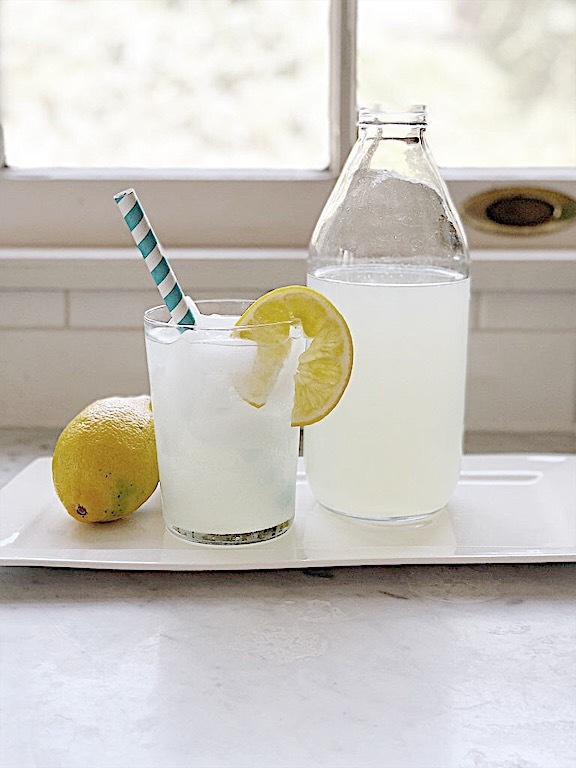 You can make homemade Meyer Lemonade. 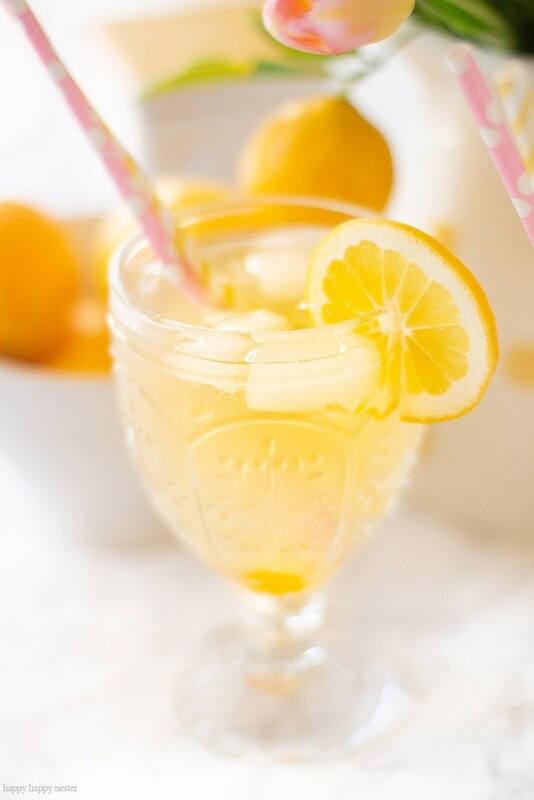 I love lemonade and nothing is better than lemonade made from fresh lemons. Or a Meyer Lemon Mojito. Mojitos are a popular drink at my house and they just taste so much better with Meyer lemons. Or a Meyer Lemon Margarita. 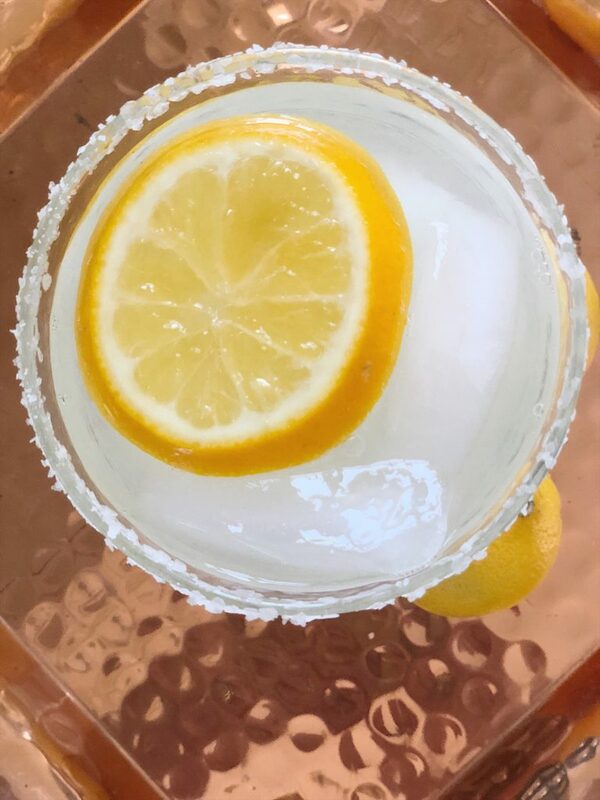 A classic margarita made with Meyer lemons is just the best. If you haven’t had one of these you have to have try the recipe! I have also teamed with some blogger friends who are also sharing some wonderful drink recipes. Rhonda from Hallstrom is sharing her recipe for a Raspberry Wedding Drink. Yum! Janine from Happy Happy Nester has a wonderful recipe for Carbonated Lemon Iced Tea. 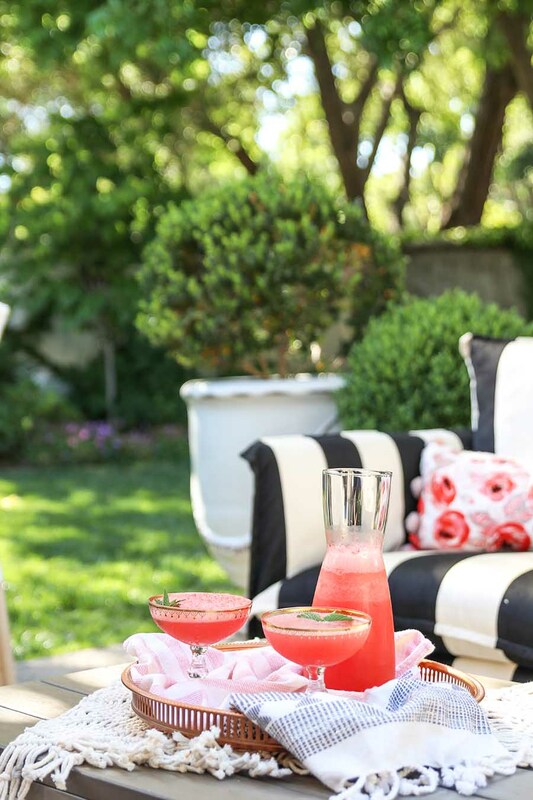 Be sure to check out Ashley’s Watermelon Frose drink recipe! This looks so delicious. As the weather warms up, this is a perfect time to enjoy some wonderful homemade drinks! Be sure to check out all of these wonderful recipes.